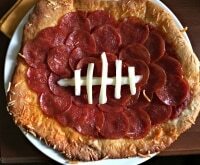 It’s party time, and your football-loving friends are hungry! 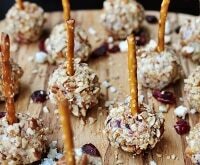 There are many ways to please a crowd, but you can’t forget the chips and salsa. There’s just something about dipping a tortilla chip into a bowl of fiery salsa that gets sports fans all riled up. 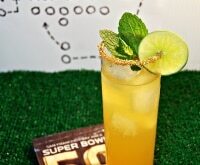 Whether you’re tailgating or throwing a party at your house, make sure to set out some chips and salsa. 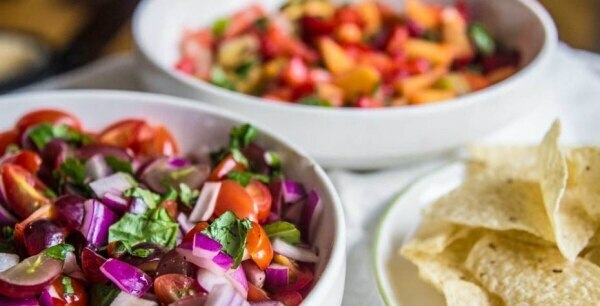 I’ve rounded up 11 amped-up and easy homemade salsa recipes, including my own fruit-filled salsa recipe, to get your sports-loving friends just as excited about the food as they are the game. 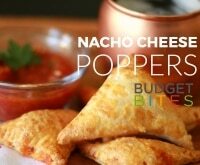 Switch out your usual salsa for any of the off-the-wall recipes below to take your chip-dipping to a whole new level of deliciousness! 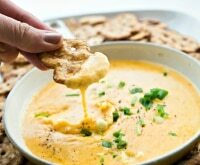 Are you more of a hot dip lover than a salsa gal? 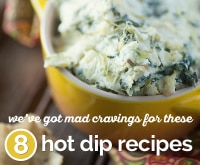 We totally understand — and we have 8 hot dip recipes that’ll totally satisfy your cravings! Though you’d never think your team’s a winner just because of luck (I know it’s all skill! 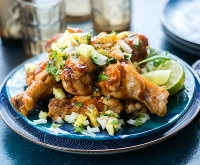 ), it can’t hurt to pull out a bowl of this lucky salsa! 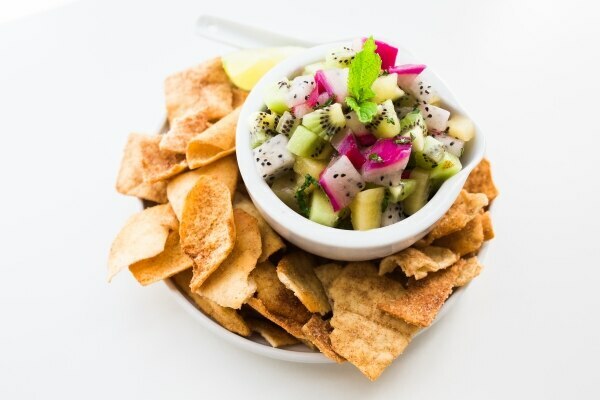 Like a bowl full of fruity dice, this sweet and tangy tropical salsa tastes great on tortilla chips. But I especially love it on cinnamon-sugar pita chips. 2. 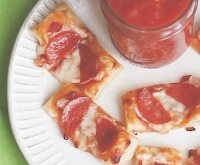 Serve immediately with tortilla chips or cinnamon-sugar pita chips for best results. 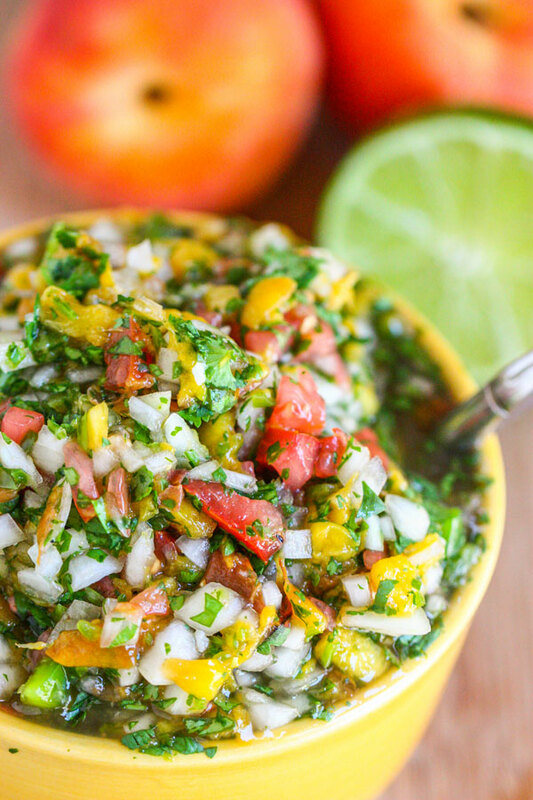 Fire up your grill for this incredible Grilled Peach Salsa. 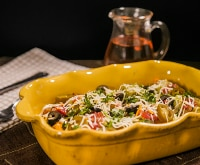 Smoky with a hint of sweetness, you’ll love topping your food or digging chips into this winning homemade salsa recipe. 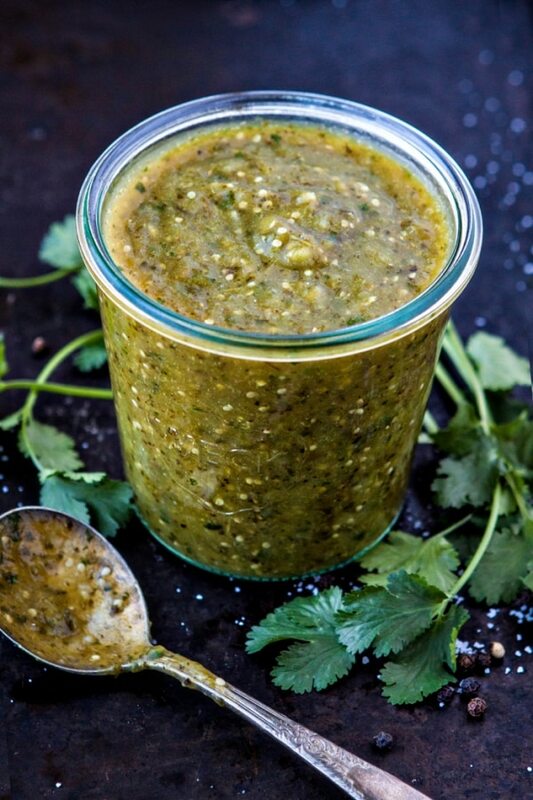 It may be green salsa to you, but this Easy Roasted Salsa Verde has no language barriers when it comes to food. 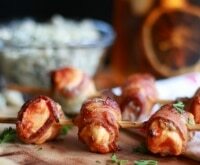 Smother burritos with it, dip in chips, or serve with eggs to add a smoky, spicy flavor to any dish. 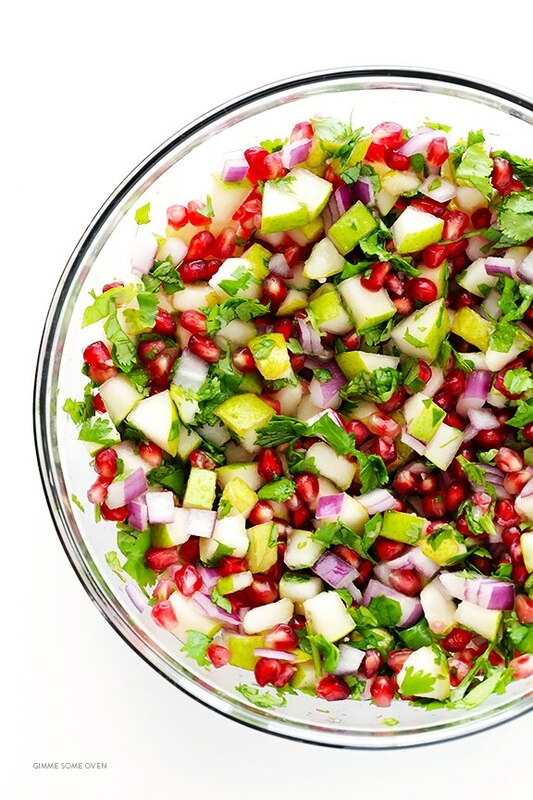 Totally unexpected fruits liven up this Pomegranate Pear Salsa. With just five ingredients, this salsa sets the stage for a festive party, and the sweet and savory combo is a real crowd pleaser. 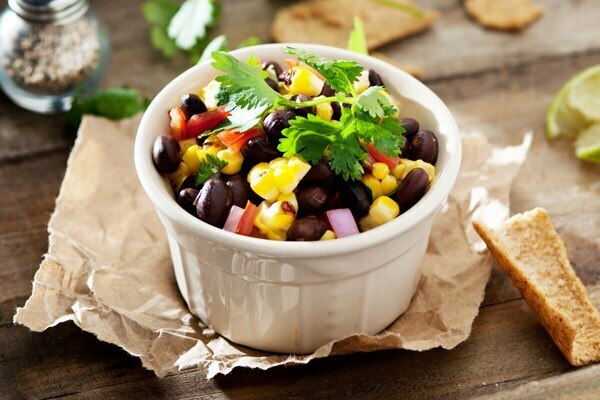 Fresh and delicious, this Black Bean & Corn Salsa can be whipped up in minutes. Serve at parties or any time you crave south-of-the-border taste in a delicious bean and corn filled salsa — serve with chips and you’re ready to snack! 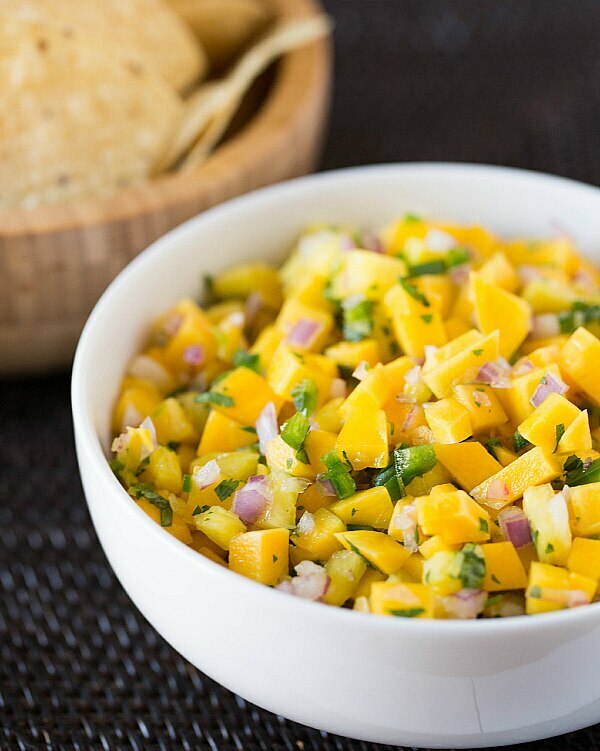 Turn your table into a sunny, celebratory feast with this Mango-Pineapple Salsa. Bright, cheery pineapple and vibrant mango give this salsa a tropical edge, and it pairs perfectly with grilled pork or salty tortilla chips. Refreshing and unique, this Watermelon Fire & Ice Salsa hits the spot on a hot day. 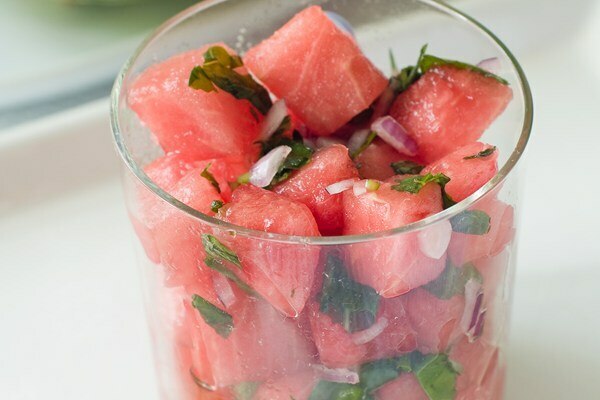 Chopped cilantro and sweet cubes of watermelon plus a mix of onions and jalapeños give this salsa a fire and ice effect that makes it perfect for outdoor parties and barbecues. 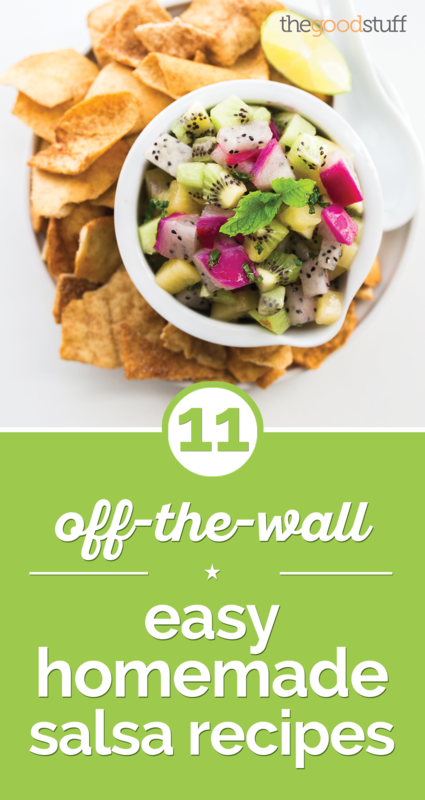 If salsa and guacamole got married, this Avocado Salsa would be their brainchild. It’s a perfectly balanced ratio of mellow avocado and spicy jalapeños, with just the right amount of diced tomato, onion, and cilantro. 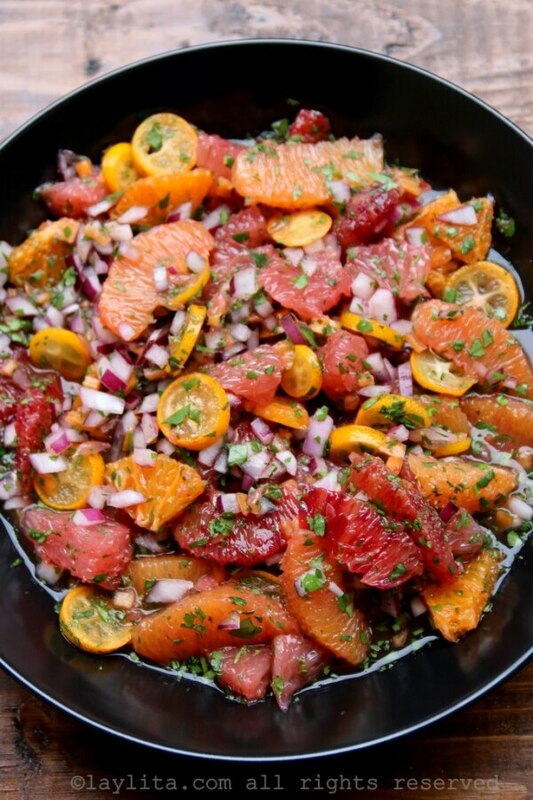 Loaded with oranges, grapefruit, mandarins, tangerines, and kumquats, you’ll get your fill of citrus in this bold and spicy Citrus Habañero Salsa. 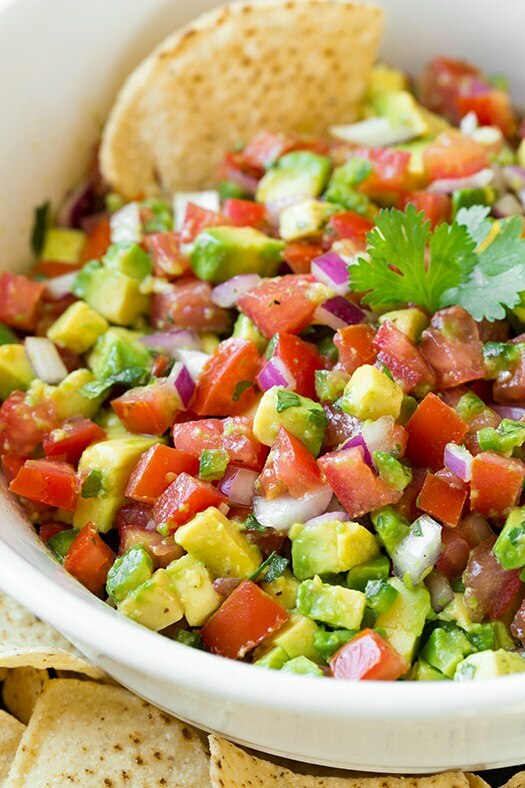 Tangy, sweet, and fiery, this salsa is a welcome change from your usual pico de gallo. 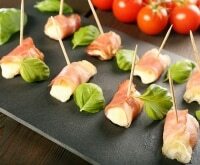 Red grapes and fresh basil add a surprising new twist to traditional salsa. This Simple Grape Salsa is easy to make, yet has a depth of flavor that makes it seem totally gourmet. 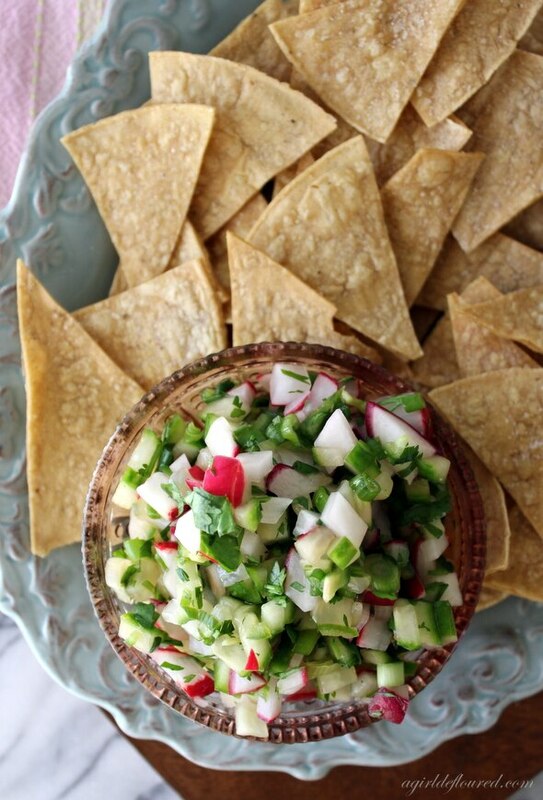 Fresh with an earthy undertone, this Cucumber-Radish Salsa is perfect for dipping. Tart, sweet lime and spicy serrano chili give this salsa standout flavor. Your turn! Have you tried making my Lucky Salsa Recipe — or any others? 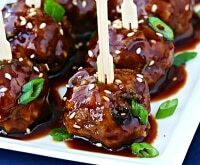 Tell me what you think or share your favorite recipe in the comments below!